Slowly, she walks by my side under a tar-black sky, her blond paws darkening with dew. It’s the biggest patch of universe I can view around these parts, skirted with white pines, maples and oaks all of a similar height. As I look up into the center of the sprinkling of stars, a swath of clouds is disguised as the Milky Way. Near the northwest horizon I spot the Big Dipper, and above me is Cassiopeia, but I cannot find Orion, and I am at first vexed, then disheartened. For years now, in my fantasy, I've imagined Orion as Calvin's guard, rising over our house on clear winter nights, though I know there’s no such thing as a divine protector. I know because all I have to do is read the news about weary immigrants risking their lives on perilous journeys to escape murder, war and genocide, or the countess homeless folks shuddering alone in the cold, or the innocents riddled with bullets in churches and theaters, cafes and other public spaces in the name of hate or some so-called supreme race, false ideology or distorted God. I know because today I am reminded of the Sandy Hook elementary school first graders gunned down by a disturbed young man who was once a child himself. I know because of the millions of abused, exploited, interned, starving, neglected, diseased, disabled, chronically ill children in this world—even children like Calvin who are racked with seizures, some so severely that they don’t survive. Still, there are those who salt others' wounds swearing it’s all part of God's design. In the center of this vast grassy stadium, a ring of trees looking on, I can see our breaths as mist begins to hug the earth in pockets at the field's rim. I want to venture to its center where by day the college athletes lope in ways Calvin will never do, out away from the glare of spotlights and the hum of engines. But the harsh light grazes me no matter how far I go. From beyond the field's edges I can hear the traffic drone, but then I catch the night train whistling its orchestra of perfectly arranged notes, and I think how artful the conductor must be, how he or she finesses the whistle into a crescendo like I’ve never heard before, and I am grateful for so many things: for my husband, for my son, for my place in this spinning blue world. 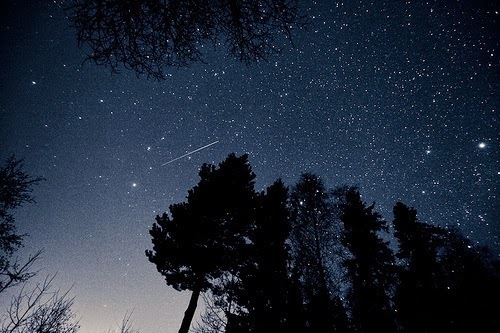 Still, I want the sky to be blacker, the stars brighter and more evident. Looking up to see the mass of them, knowing, though not fully grasping, their infiniteness, I feel insignificant, and I think about other beings on other planets doing the same, as if looking through a window or perhaps into a mirror. Then I consider those who believe life exists only on Earth, and I muse over such conceit. Then, as I stand scratching Nellie’s head, I wonder if on those billions of other planets little innocent beings are suffering, ill, abandoned, killed, and I loathe the thought because it’s clear to me that the universe, though long ago set in sublime motion, remains silent and indifferent to our pleas. The only elixir is to think of each star as one of those little children, to think of the shining moon as their vessel of love pouring over us as if to say, please, end your hateful ways. Hey I would like to be able to email/skype you. Found your blog out of random searching for more info about ONFI a couple days ago. I started reading your blogs, and would like to be able to ask you more questions. what are you wondering about onfi? you could reply to this comment and include your email address. i will not publish it. Awe-inspiring writing! So incredibly beautiful.